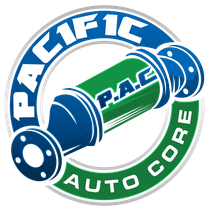 Pacific Auto Core Ltd is a recycler of auto core parts specializing in the exporting of spent Catalytic Converters. We have extensive knowledge in the grading and pricing of Catalytic Converters. We offer both drop off in Maple Ridge or pick up purchasing service and we have regular pick up routes in the Central Okanagan, Lower Mainland, as well as Vancouver Island. We purchase both large or small quantities. Please inquire about our Grade Support Program if you are a large volume producer. We are happy to help with pricing through SMS or email if you become a preferred supplier. Catalytic Converters are used in exhaust systems to provide a site for the oxidation and reduction of toxic by-products of fuel into less hazardous substances such as carbon dioxide, water vapor, and nitrogen gas. The catalyst material inside a Catalytic Converter can contain one, two, or all three key precious metals; Platinum, Palladium, and Rhodium. Just like Gold, the market value of these materials is ever changing day to day. A lot has changed in the grading and processing of scrap Catalytic Converters in recent years. Nowadays, a well educated buyer can pin point an exact assayed value for each individual Converter on a particular day by running the serial number of the unit. This is often referred to as "Code Grading" and is now the industry standard for buying Catalytic Converters world wide. We follow this grading technique strictly to deliver the highest possible return on value for our client's material.